Why Enterprise Networking in Dubai is Important? 13 May Why Enterprise Networking in Dubai is Important? 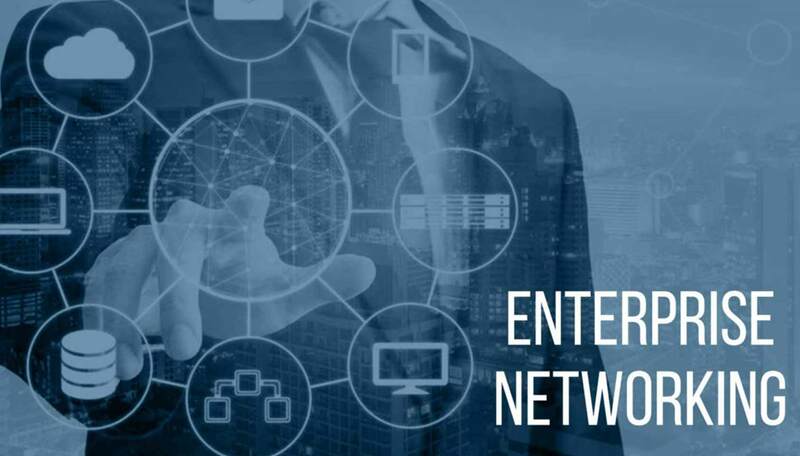 In this new era of digital transformation, the demand for enterprise networking system in Dubai that is resilient, scalable and well-integrated is very high due to the diversity and the value of IT and data within organizations. In addition to this, the new trends which are popping up in the networking industry compel organizations to acquire innovative network solutions and services. Dubai is the Center for Innovation and moreover, the high levels in which the government is incorporating networking systems make it mandatory for firms and other organizations in Dubai to prepare for a similar revolution process. The company must provide excellent networking systems which will work efficiently, maximizes business continuity and enables enterprise mobility. As different types of Security threats continue to grow rapidly, it has become imperative that organizations have a robust network. Among these companies which provide excellent IT Solution Provider Dubai. We are one of the leading system integrators in the UAE, that focuses on delivering the best solutions to our clients. At Fujisoft our best IT expertise always works to develop unique and competent IT network solutions that are also designed according to the different business niches. Consequently, Fujisoft serves all the business in Dubai regardless of the organization’s field of specialization or size by providing various ICT services and solutions. Some of these services which we provide to our clients include; wireless solutions Dubai, network solutions Dubai, enterprise networking companies in Dubai, network security solutions in Dubai. Since transforming or upgrading network infrastructure can be an expensive affair. It is very vital that organizations ought to come up with a plan before starting any projects of upgrading the existing networking systems. Moreover, the organization should with the guidance of IT network solutions in Dubai like Fujisoft evaluate the advantages and the cost of the new networking system. Before making any upgrade or purchasing an enterprise networking system from any networking company in Dubai, it is essential that you inquire about the service span of the system. Networking systems are quite costly, and it would be deplorable if you purchased networking companies in Dubai which would become obsolete after one year. Consequently, you will incur extra cost in buying another networking system after one year. Therefore, as an investor, you must to not only put into consideration your current processes and needs but also any adjustments you plan on making in future. Hence it is very important that your network is quite scalable and flexible. Moreover, never forget to check on the consequences that a breakdown can bring within your organization on the production levels and the quality of the services which your organization offers. It is only wise to settle for a networking system that positively impacts these factors. In today’s environment, your business depends upon your Network Infrastructure that’s always ON and always accessible.